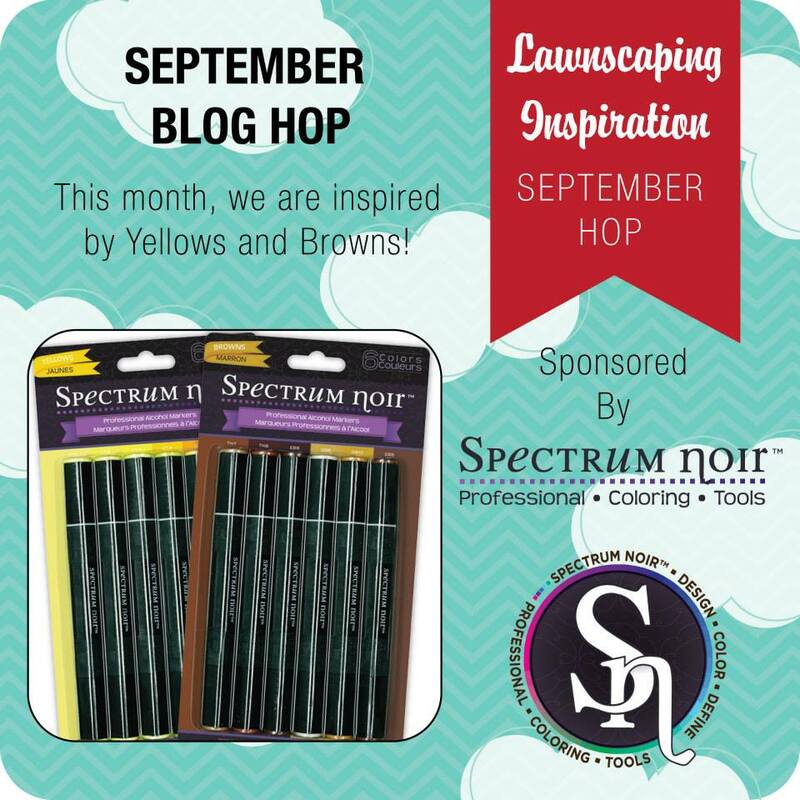 So, if you're a big Lawn Fawn fan like I am, you'll defintaley want to join this hop because you'll want to use those Spectrum Noir to colour your Lawn Fawn images :D This month we are inspired by the colours Yellow & Brown. Okay, I went a bit overboard with the stamping. Hehe, but I tried to mute it with a piece of velum. I hope you like it and you can use other images and use these colour combinations to make a fall card without having any leaves stamps :) I'm using the Flutter By stamp set by Lawn Fawn for this card. I can't say how much I love this, but holy wow. This is brilliant and so pretty and soft!!!! I totally adore this, Marina. Super pretty! Like the way the butterflies are partially colored. Such a pretty card! Love the stamped background and the vellum adds such a pretty touch to the card! Beautiful butterflies. Love the colours. Hope you are having fun in Australia. If you come past Brisbane wave to us. I think it's a fabulous card. The vellum background really sets off the colored butterflies in front. Great card! What a happy and pretty card! I love the colors! Great job where you matched up the colored butterflies with the background butterflies. Thanks for sharing. Just in case I win: kmwbeads at comcast dot net. What a gorgeous card! Love the butterflies! Fabulous design on your card! What a cute card, great design! Love the colors. Such a beautiful card! Love the use of vellum! This is so pretty! I love that the colored butterflies are positioned over the outlined ones perfectly. Well done! WOW!! You rocked this challenge. I love how you positioned the outline so perfectly!! wooooow! Stunning card!! Love how you used the color combo!! awesome!! Beautiful card...love this interesting stamping technique. WOW! What an amazing technique! It looks so awesome! Really lovely and creative card!